1) Preheat oven to 350 F and roast garlic for 40 mins, until garlic is soft.2) Heat canola oil in large frying pan over medium heat. 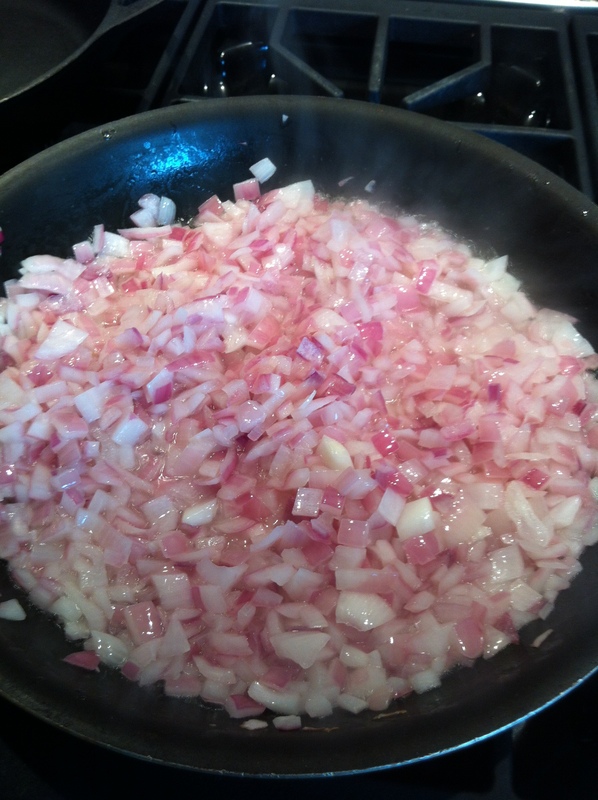 Add the onions and cook until lightly browned but not overly dark, about 5 minutes, stirring regularly. 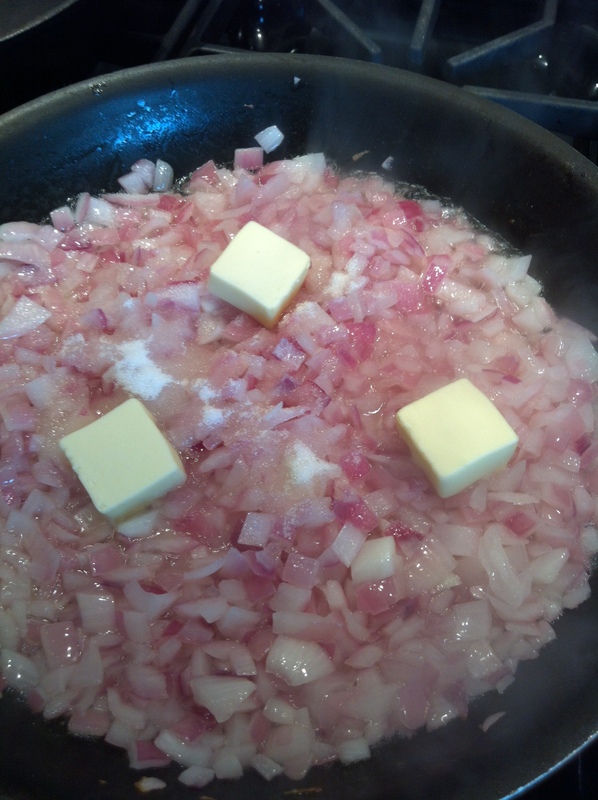 3) Add the butter and sugar and cook until the onions have thoroughly browned, 20 to 25 minutes. 4) Add the roasted garlic, Parmesan, mayonnaise, cilantro and salt and pepper to taste and stir to combine. 5) Remove from the heat, transfer to a medium bowl and set aside to cool. Cover and refrigerate for at least 4 hours.6) Reserve 1/3 of the mixture in the refrigerator to use to make the dipping sauce. Spread the remaining mixture on the top of 11 of the tortillas. 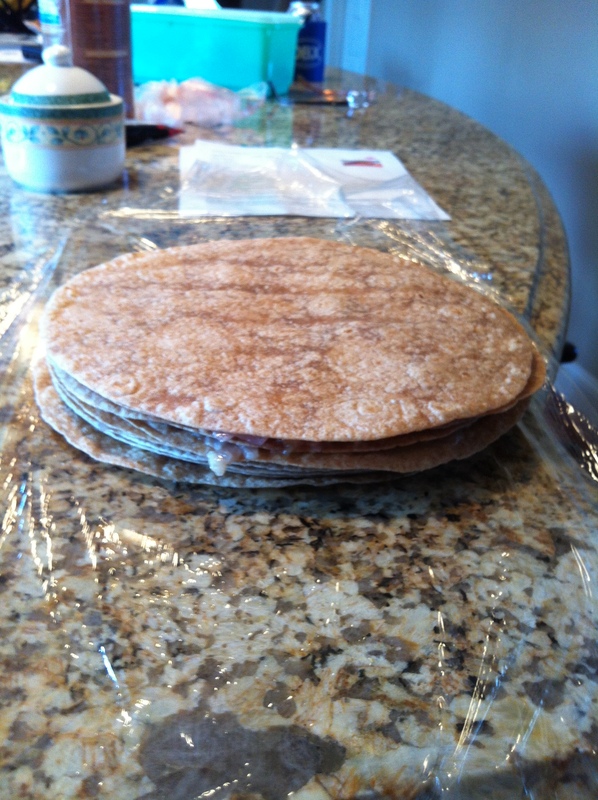 Stack the tortillas on top of one another and top with the remaining tortilla. 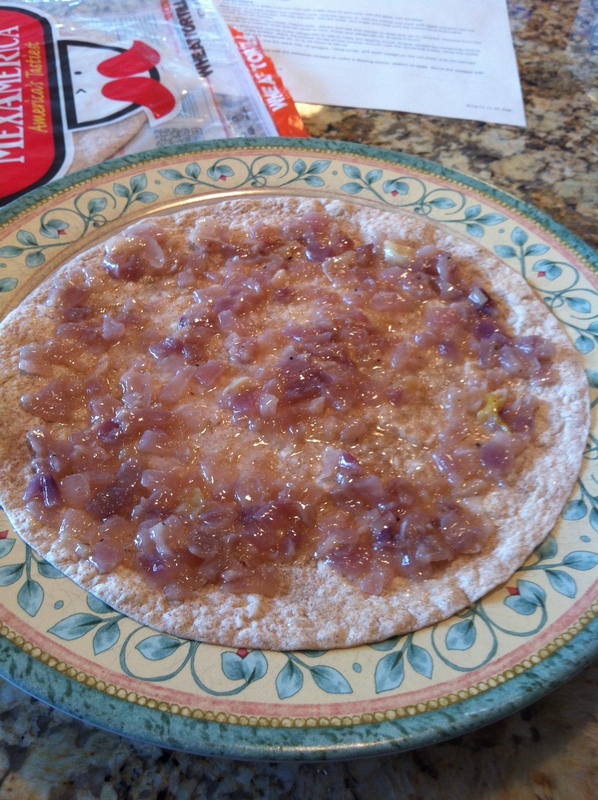 Wrap the tortilla stack in plastic wrap and refrigerate for 12 to 24 hours to set. 7) Preheat a grill to medium. Cut the stack into 16 wedges. Using tongs, grill each wedge on the cut sides until it’s warmed and grill marks appear. 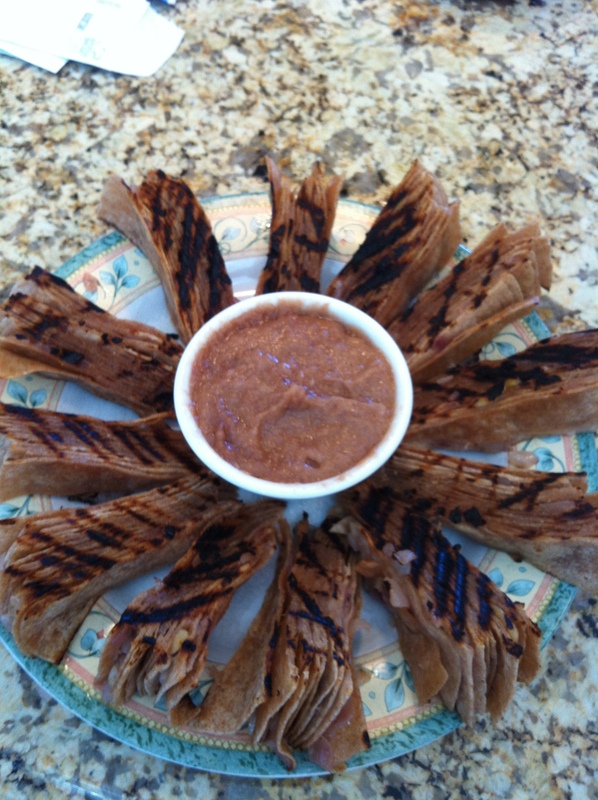 8) Mix the reserved onion mixture with the balsamic vinegar to make a dipping sauce; season to taste. Serve the wedges with the dipping sauce.